אל-שבאב אל-מג'אהדין בסומליה פרסמו, בחשבון הטוויטר שלהם ביום רביעי 16 בינואר, הודעה המתארת את השתלשלות האירועים מאז נחטפו אלכס וארבעה אנשים צרפתים נוספים בשנת 2009 ועד הוצאתו להורג של אלכס, אזרח צרפתי שנחשד על יד אל-שבאב בריגול והוחזק בשבי עד יום רביעי 16 בינואר, 2013, בשעה ארבע וחצי אחר הצהריים. לפי ההודעה גם ארבעת בני הערובה הצרפתיים האחרים בידי אל-שבאב נהרגו במהלך ניסיון חילוץ. PRESS RELEASE: Dennis Allex: an Agent Betrayed. Bulo-Marer (16/01/2013). In the Name of Allah, the Most Beneficent, the Most Merciful. 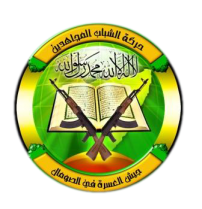 Henceforth, the following is short background information of the events leading up to the failed rescue operation and the verdict reached by the leadership of Harakat Al-Shabaab Al-Mujahideen. On July 14 2009, the Mujahideen captured French intelligence officer, Dennis Allex, who was then working for the General-Directorate for External Security (DGSE). Posing as a journalist, Allex was dispatched to Mogadishu and assigned the task of training the intelligence forces of the apostate regime and gathering intelligence on the Mujahideen on behalf of the French government. Following his capture, Allex was held in captivity for more than three and a half years by the Mujahideen and treated as per instructions of Islamic Shari’ah. The DGSE was duly informed, shortly thereafter, that he could, at the discretion of the leader of the Mujahideen, be ransomed or freed in exchange for Muslim prisoners. French forces, however, had different plans and in the early hours of Saturday morning, January 12 2013, mounted an injudicious rescue operation in order to secure Allex’s release. France’s well-established reputation of rushing impetuously into risky rescue operations without contemplating the consequence as well as the political and social considerations that often outweigh military operations is increasingly putting the lives of its citizens at risk. And with the war against Islam being the corner-stone of its foreign policy, French diplomacy has, almost irreparably, taken a turn for the worse. But while it is justified to condemn the recklessness of the French forces and their senseless killing of innocent civilians in Bulo-Marer, it is equally imperative to condemn the inconsiderate policies that allow such operations to persist, unnecessarily exacerbating the situation and further imperiling the lives of the prisoners. Contrary to the claims made by French Defense Minister, Jean-Yves Le Drian, that the Mujahideen’s refusal to negotiate had compelled the French forces to embark on the rescue operation, HSM hereby confirms that everything practically negotiable has been negotiated. The Mujahideen have, for the best part of the last three and a half years, struggled to come to an understanding with the French, despite their fairly legitimate and feasible demands, but all their efforts were repeatedly hampered as the DGSE proved to be unreasonably apathetic and willfully uncooperative. The French intelligence officers’ approach towards the negotiation process went from being irresolute to irrational, in spite of HSM perseverance on finding common ground. At regular intervals, the French intelligence demanded a ‘proof of life’ of the hostage for the negotiations to continue. The Mujahideen released two short videos of the hostage; the first in June 2010 and addressed to Nicolas Sarkozy, and the second in October 2012 and addressed to the then newly-elected president Francois Hollande, cautiously optimistic that an agreement could be reached amid the changing political climate at the time but to no avail. On numerous occasions, the DGSE even instructed the Mujahideen to ‘go ahead and kill him if you want’ in order to play down the value of the hostage and thereby deliberately impeding the process of negotiations. Extraordinarily, however, the French intelligence contacted HSM just a week before the failed rescue attempt with a renewed impetus and ensuring the Mujahideen that a deal would be finalised ‘very shortly’. A week later, treachery was the result. In his final plea for help, Dennis Allex called on the French president, imploring him to be more considerate towards the lives of French hostages. Hollande, like his predecessor, ignored Allex’s impassioned pleas and opted for the less practical option of a forcible rescue operation. Throughout the last three years, the French intelligence intentionally continued to prolong the negotiation process in order to ‘buy more time’ as it were, without internally precluding the possibility of a rescue operation. Aware of the brewing treachery of the French, HSM intelligence teams took decisive measures and constantly changed locations in order to thwart any forcible rescue attempt. Several spies, armed with electronic gadgets and tasked with locating Allex, were also caught by the Mujahideen. Saturday’s botched rescue operation was an abysmal failure; both in terms of intelligence and the ground operation. The French forces, driven by false intelligence reports from the ground, landed a few kilometers away from the town of Bulo-Marer and headed towards their designated location, killing all the villagers that crossed their path. The villagers, including an elderly woman, were later found some with their throats slit and others with bullets riddle all over their bodies. But before the French forces could reach their destination, the Mujahideen in Bulo-Marer were alerted by HSM intelligence teams who had information of the French movements. For nearly three hours the battle raged, at times sporadically, as the French retreated and then returned to rescue fellow soldiers. For the first 40 minutes of the battle, the French forces on the ground were under siege by the Mujahideen, killing several of them, before they retreated and attack helicopters came to their assistance. The element of surprise alone was sufficient enough to throw their operational plans out of balance and the French forces quickly lost the initiative as the battle objective changed from being a rescue mission to damage control. The French commander leading the operation, and who was severely injured during the attack, was deserted by his comrades and subsequently captured by the Mujahideen. HSM paramedic teams arrived at the scene shortly after the battle had ended and transferred the injured commander to a hospital in a nearby base, but he succumbed to his injuries hours later. The death of the two French soldiers pales into insignificance besides the dozens of Muslim civilians senselessly killed by the French forces during the operation. Avenging the deaths of these civilians and taking into consideration France’s increasing persecution of Muslims around the world, its oppressive anti-Islam policies at home, French military operations in the war against Islamic Shari’ah in Afghanistan and, most recently, in Mali, and its continued economic, political and military assistance towards the African invaders in Muslim lands, Harakat Al-Shabaab Al Mujahideen has reached a unanimous decision to execute the French intelligence officer, Dennis Allex . With the rescue attempt, France has voluntarily signed Allex’s death warrant. Following the failed operation, Le Drian, aware that execution is the natural corollary of treachery, announced that the punishment had already been meted out, despite the fact that Allex was at the time alive and safe in another safe house. Allex and all the other French hostages killed as a result of similar failed rescue operations are the victims of France’s long-standing policy of negligence that shows no regard for the lives of its citizens. And while this latest operation will certainly bring an end to the imprudent French bravado, it is the government of France, with its history of botched rescue of operations, which must bear full responsibility for the death of Allex . The Mujahideen have reached this decision after three years of exhaustive attempts at negotiations but the French proved to be disloyal, betraying not only the trust of the Mujahideen but also their agent. Allex has also left behind a wealth of information that was retrieved during interrogation sessions conducted over the course of three and a half years and that helped the Mujahideen acquire a richer understanding and a sharper illustration of the inner workings of the French intelligence apparatus. Discerning French politicians, therefore, would do better to steer their government towards the road of pragmatism and wisdom that yields practical solutions to France’s perennial problems before Hollande’s political ineptitude and ham-fisted approach further enflames the deteriorating hostage crisis. That, indeed, would be a victory for common sense.